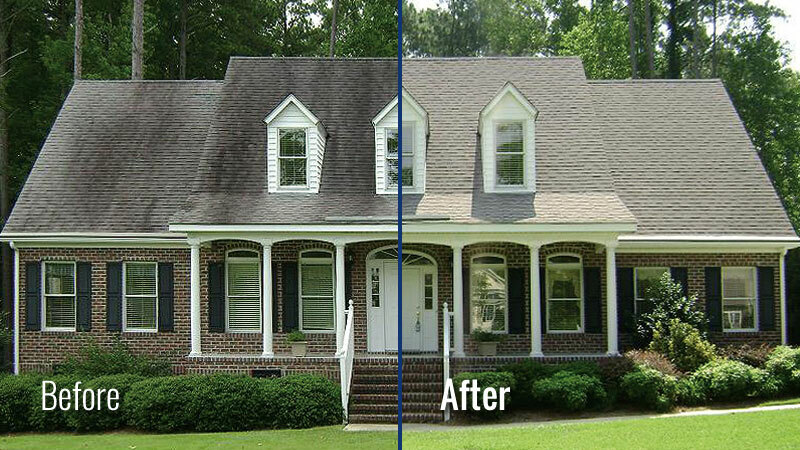 Tired of roof stains ruining your home’s curb appeal? 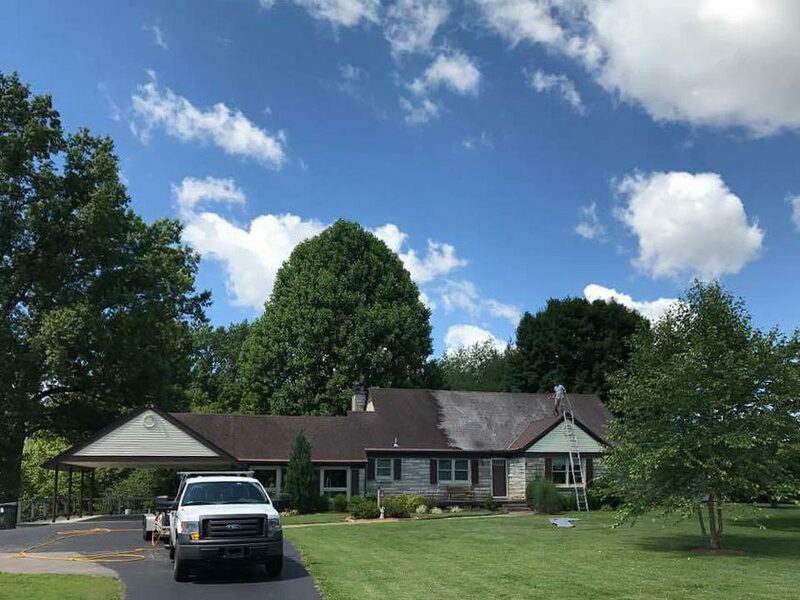 It’s time to join the countless Louisville, KY homeowners who have discovered the gentle power of our Soft Wash Roof Cleaning service! 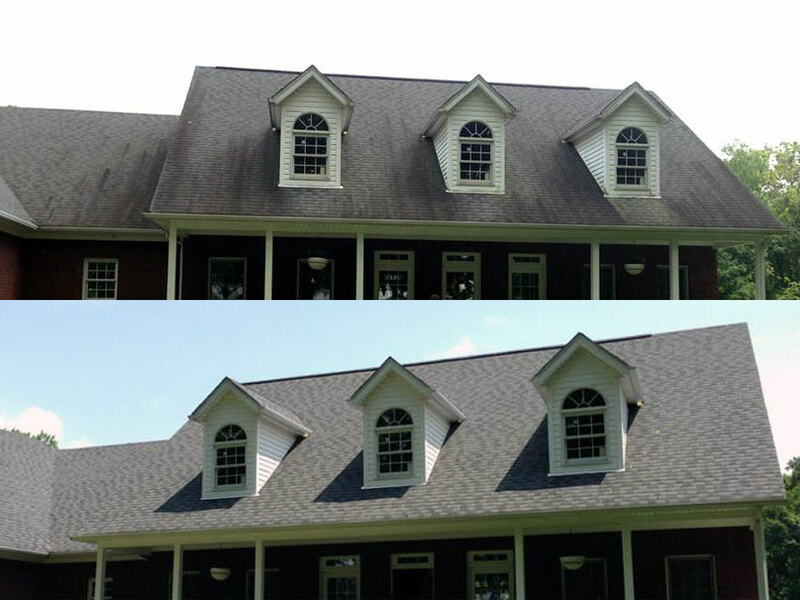 Soft Wash Roof Cleaning safely removes unsightly algae, mold, and lichen growth from your asphalt shingle or slate roof. 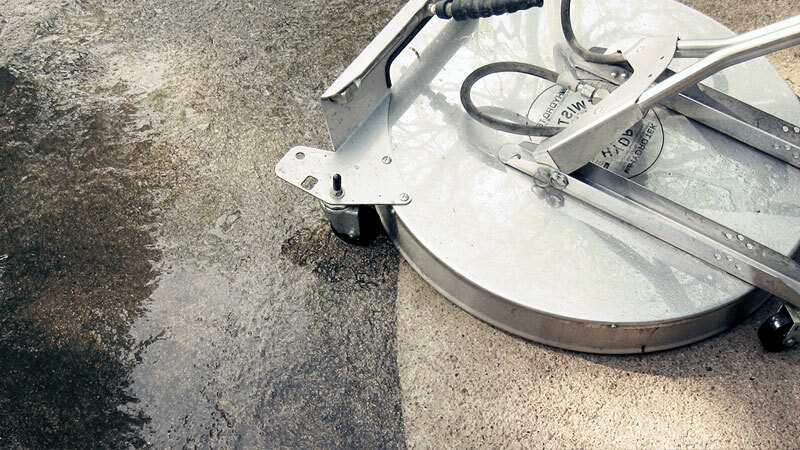 It poses no risk of roof damage that can result from high pressure power washing. It’s the only right way to clean all types of roofing materials, including Asphalt, Slate, Tile, Metal, and Wooden shingles. 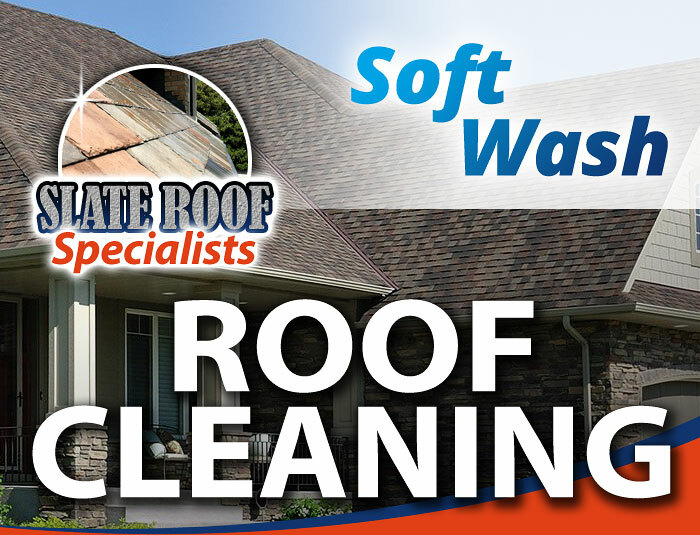 Soft Wash Roof Cleaning is the only right way to clean all types of roofing materials, including Asphalt, Slate, Tile, Metal, and Wooden Shingles. 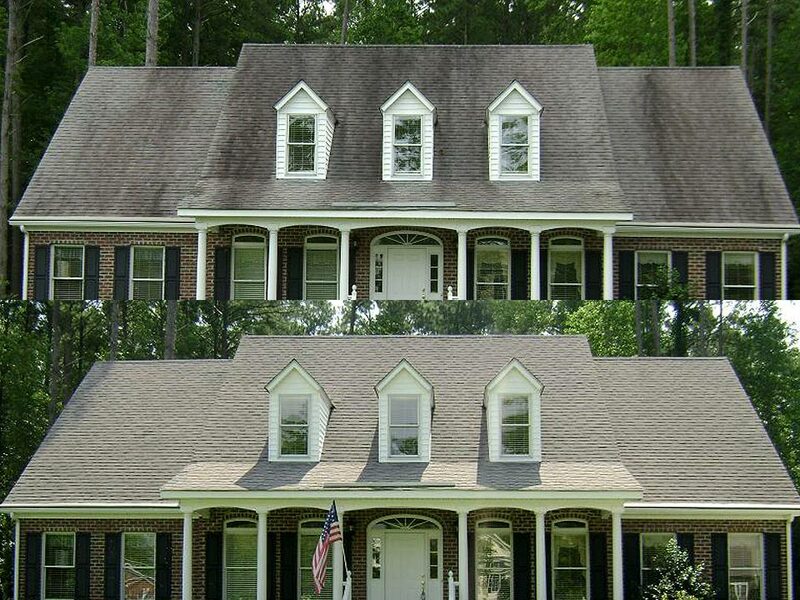 Why is Soft Washing the Right Way to Rid Your Home of Roof Stains? 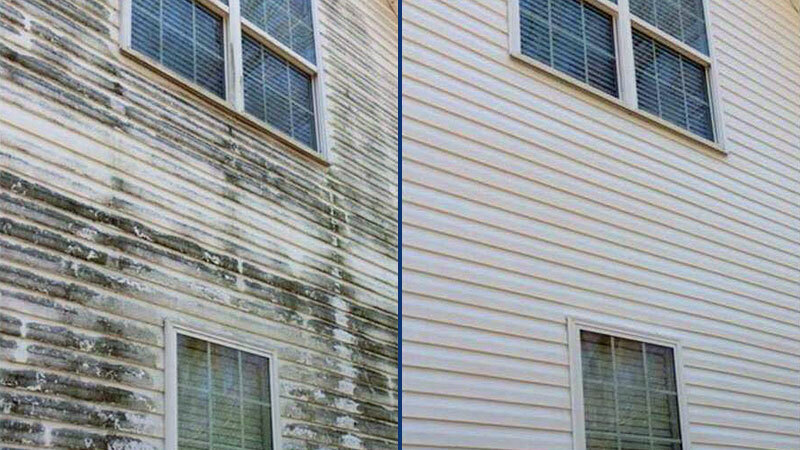 Unlike standard power washing, which only uses water to blast the stains off of your roof, our Soft Washing method uses roofing manufacturer recommended roof cleaning agents applied at Low Pressure (no more than a garden hose) to kill unsightly algae, mold, and lichen growths at their source. 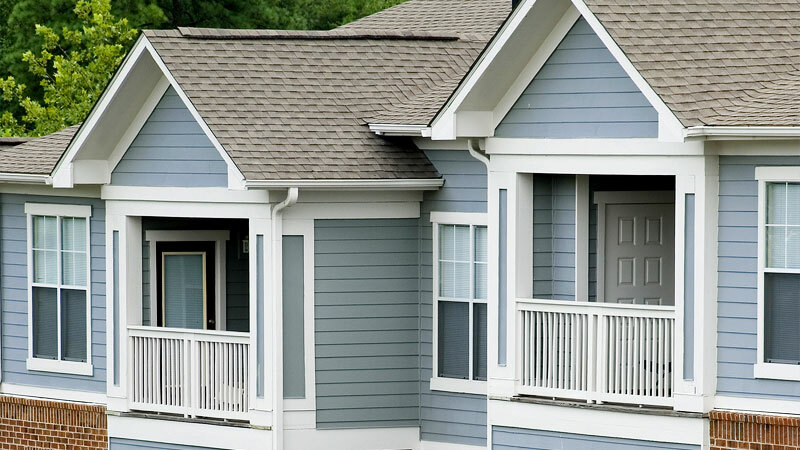 You get a more thorough roof cleaning and a longer-lasting one, too! 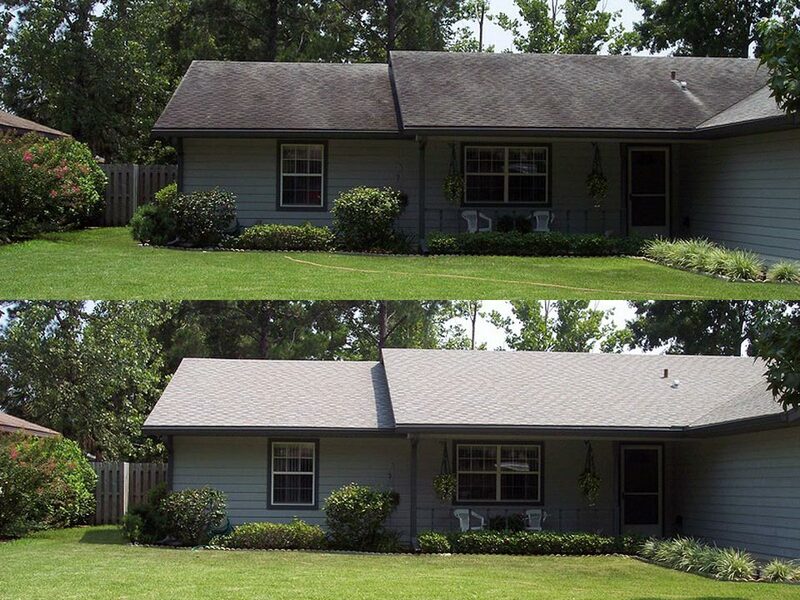 The algae and mold inhibitors in our Soft Washing solution delay the reappearance of unsightly algae, mold, and lichen growth on your home’s roof. 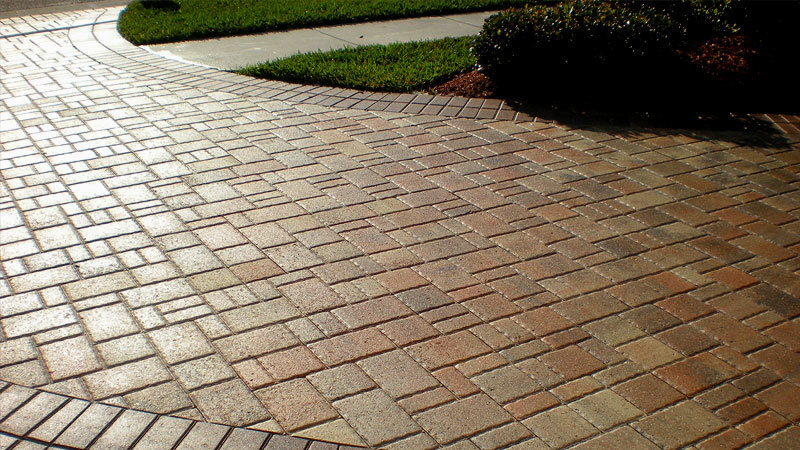 This means you will have a stain-free roof for up to four times longer than you would find with regular power washing! And of course, “low pressure” means zero risk of shingle damage. 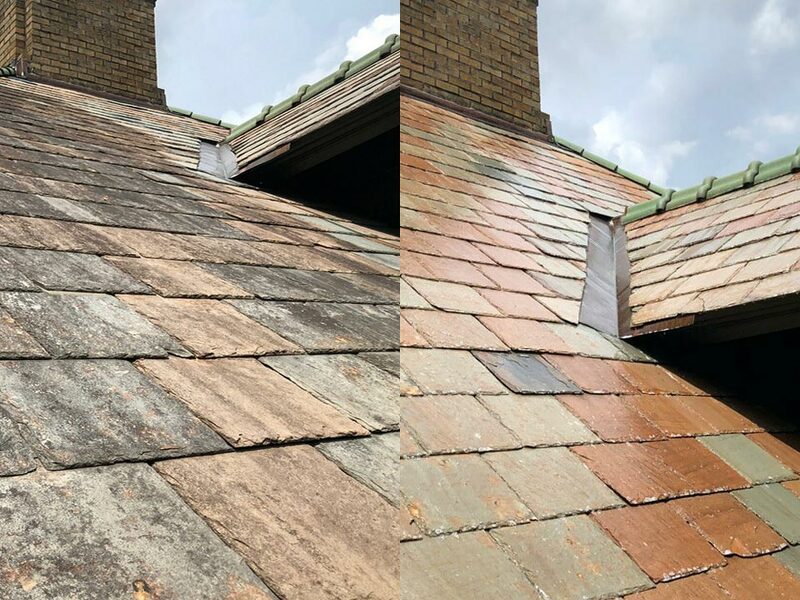 Too many Louisville, KY area homeowners have learned the hard way that high pressure washing and roofing materials (especially slate roofs) do not mix! Our Soft Wash Roof Cleaning method is 100% safe for all types of roofs and will not cause damage to your home or landscaping. If your house has a dirty roof, be sure to watch this short, yet extremely important video. Those “stains” on your roof are actually an infestation of algae and mold feeding on the limestone filler in your shingles. 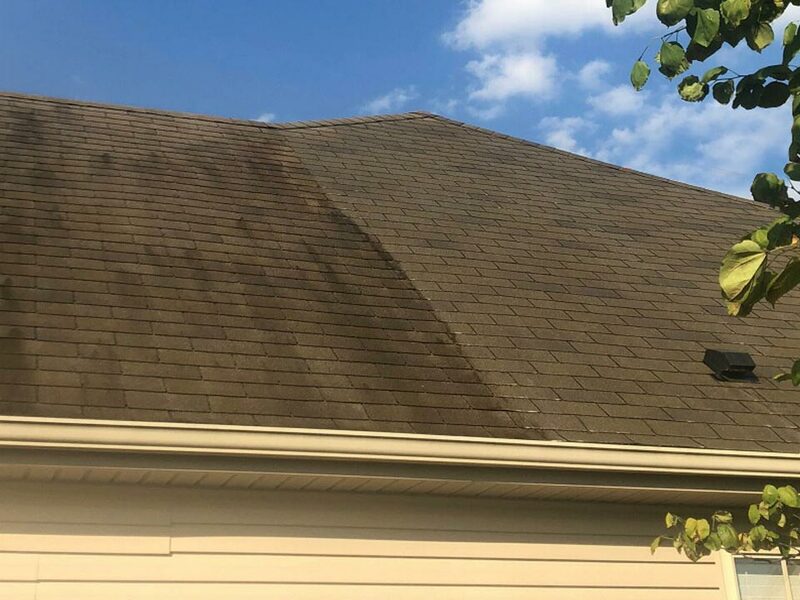 Left unchecked, this will lead to significant roof degradation, which is precisely why many insurance companies are cancelling homeowners policies unless they get their roof professionally cleaned. Don’t be a victim, call HurriClean today!